The Mobile Housing Board of Commissioners made another series of changes intended to adopt United States Department of Housing and Urban Development suggestions, following last year’s release of a scathing report from its Office of Inspector General. 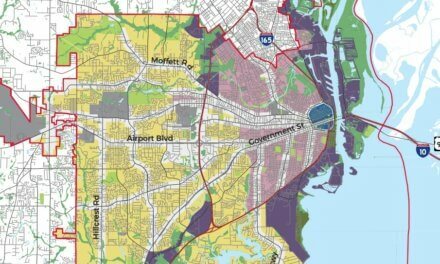 During a long and sometimes contentious board meeting on Wednesday, March 8, commissioners voted on a plan to repay $1.2 million in nonfederal funds related to a Mobile Development Enterprises contract involving a company owned by the half-brother of MDE Vice President and State Rep. Adline Clarke. Commissioners also approved a new occupancy plan based on HUD guidance and voted to sell two properties linked to decades-old Hope VI grants to local churches. Commissioners approved a plan to repay some $1.2 million in capital funds from non-federalized money. HUD’s Birmingham office is requiring MHB to basically repay itself in capital funding, after the OIG found that the board’s contract with Superior Masonry for $3 million in “make-ready” work from 2011 to 2015 demonstrated a conflict of interest because Frank Seltzer, the president of the company, is Clarke’s half-brother. The plan would take $250,000 from the board’s central office cost center budget as well as $250,000 from developer fees to which it is entitled. In addition, the plan would call for $742,958 to come from developer fees from the Rental Assistance Demonstration closing of properties — including Oaklawn Homes, Boykin Tower and others — at the end of the year. Interim Executive Director Lori Shackelford said the repayment will be placed in MHB’s capital fund, per HUD, to be used for “future development activities.” Under the plan, the board will pay $500,000 up front and wait for the RAD closing to take place to pay the rest, Shackelford said. 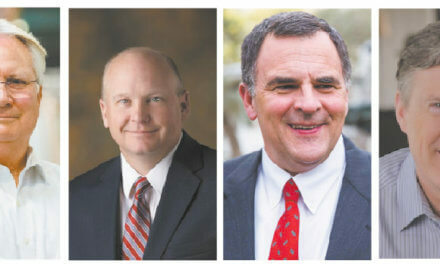 Commissioners Melvin Clark and Reid Cummings voiced concerns over the plan, but Chairwoman Kimberly Pettway said she preferred working to get out from under the repayment. The board also approved a new, more “aggressive” occupancy plan, outlined by Matthew McClammey, MHB vice president of asset management. McClammey told commissioners the plan would help the authority determine how many units could be turned over based on renovation and attrition. While the Renaissance properties downtown are basically full, McClammey told commissioners, other complexes are in need of a better effort to turn units around. He mentioned Orange Grove and Gulf Village, which together are roughly six units below MHB projections. McClammey said he doesn’t see any problem with getting six additional units ready for occupancy by March 31. In order to achieve that goal, McClammey said maintenance crews at Orange Grove, for instance, would have to increase occupancy from 230 units to 233 units by the end of the month. Complicating the situation is the attrition, or move-out rate, of 10 per month. This means, McClammey said, to reach the goal of getting three more units ready, crews would actually have to turn over 13 units. In Gulf Village, MHB deals with about two move-outs per month, which means crews would have to turn over five units by March 31 to meet projections. In response to question from Cummings, McClammey said the top reason for attrition is nonpayment of rent. Further complicating the matter, McClammey said the entire crew employed to ready apartments for renters is currently at Gulf Village preparing it for a HUD inspection. The attrition rate for all MHB properties is 38 per month. In order to meet occupancy projections for the end of March, MHB crews will have to turn over a total of 31 units. That means that a total of 69 units will need to be made ready for tenants by March 31. McClammey said it was attainable. “The goals before this were … double that,” he said. While the attrition rate is 38 in total throughout all of the board’s property, MHB Attorney Raymond Bell said there are never 38 evictions. Many of those who leave do so on good terms, or on bad terms, like in the middle of the night, he said. Some tenants pass away. Bell said the board is usually in the single digits when it comes to evictions per month. Last month, for instance, he said MHB had zero evictions. “People who just leave is a big part of it,” he said. McClammey added that Prichard’s housing authority also reviews many MHB families for vouchers and the authority doesn’t get notice if a family leaves a unit after receiving a voucher from Prichard. Pettway and Commissioner Norman Hill also brought up concerns over the condition of units at Thomas James Place following a HUD inspection. Both were in favor of hiring subcontractors to help meet occupancy goals, while also improving conditions at Thomas James. The board also approved a plan to hand over land it purchased in “2002 or 2003” — using Hope VI grant money — to Aimwell Baptist Church and Greater Nazaree Baptist Church, which plan to use the property for various community-oriented projects. Aimwell has proposed a new child care center, costing about $750,000; a family life center, costing $500,000; and a parking lot expansion, costing $100,000 on 2.95 acres. Nazaree is proposing an adult day care center on 2.41 acres. Hill asked Bell if there was any reason a prior board didn’t approve this move. Bell told commissioners there were a number of delays that prevented the matter from coming to the board.